It goes without saying that you can find a number of recipes online that anybody can follow. However, if you wish to ensure that what you cook or bake in your oven turns out to be just perfect then there is no way that you can accomplish that without the help of an oven thermometer. 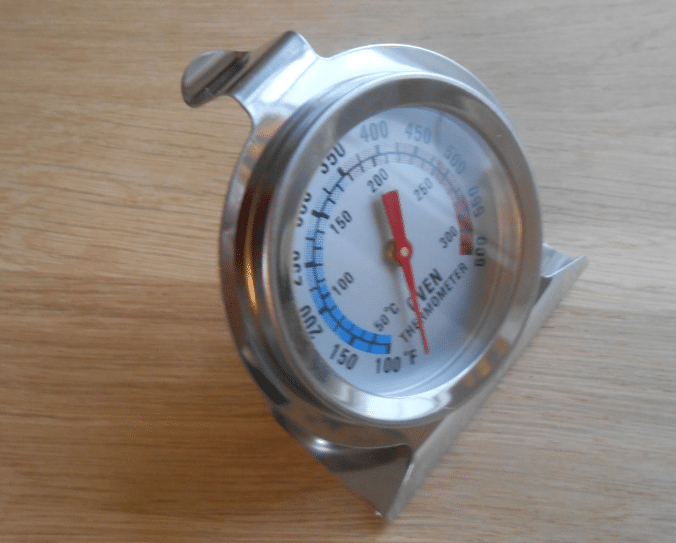 There are a number of oven thermometers available in both, the online and the offline market. Most of these oven thermometers have their own specific features which make them have their unique appeal to all the customers. However, there are also a number of factors that an individual would have to keep in mind before going ahead and buying oven thermometers. So, today in this article, we will be taking a look at the four best oven thermometers currently present in the market. But before that, we will be discussing the various features that an individual needs to consider before purchasing oven thermometers. We will also be looking at the perfect guide that will help you to use all your oven thermometers perfectly. Oven thermometers are a type of cooking equipment that is primarily used to check the temperature of the oven at the time of cooking or baking something. These thermometers double check the reading of the oven which is already displayed on the oven dial. The function performed by this cooking equipment might appear too simple and of no large consequences, but assuring just the right temperature while cooking or baking can further ensure that you get the most delicious and balanced dishes. And if an individual wants to cook or bake really perfect dishes in his or her oven then, the oven thermometers are highly beneficial. But it is important for us to choose only the best oven thermometers which are of extremely good quality. 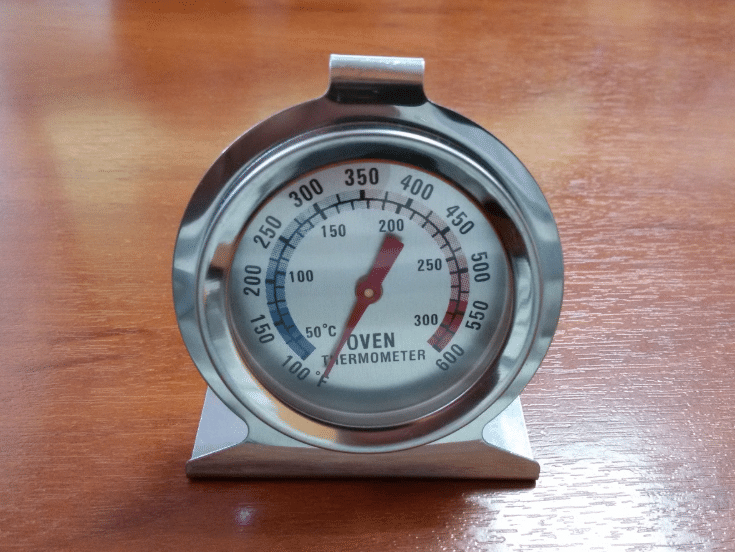 Therefore, to understand the quality parameters of oven thermometers, I have done some categorisation which one should keep in mind while buying the best oven thermometer. Let us have a look. 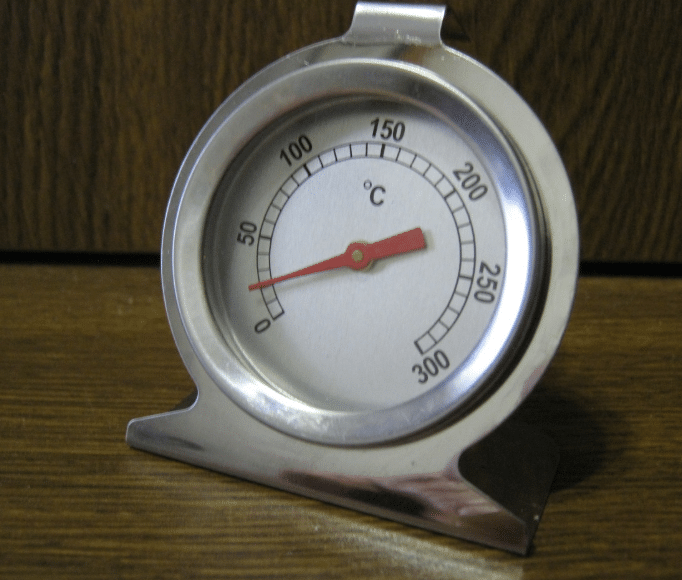 A variety of thermometers that are present in the market serves specific purposes. Some of these are known as oven thermometer for baking. While some others could be known as oven thermometers for roasting or oven thermometers for grilling. Due to their specific features, these thermometers vary in temperature ranges, material, quality or price. Hence, it is important for an individual to consider these ground rules. If one has a specific feature in mind for which purpose the thermometer would be used for, then they should only purchase that kind of oven thermometers. According to various studies, it has constantly been proven that most of the ovens that are available in the market are wildly inaccurate about the temperature they depict. A lot of studies have shown that if many ovens are set at the same temperature then there will be variations even in their heating. For example, if there are ten ovens and all of them are set at a temperature of 90 Degree Celsius then not every single of those ovens will heat at a temperature of 90 degree Celsius. Some ovens might have a temperature range between 60 degrees to 70 degrees while the other ovens might be heating at a 80 degrees. So, temperature accuracy can be a major reason to buy an oven thermometer. You can find majorly two different types of displays in the oven thermometers. And these displays are either of the glass bulb or the dial display. Earlier the oven thermometers with glass bulb displays contained the mercury liquid within them. However, due to various safety reasons that liquid mercury has been replaced by colored alcohol. These display types can have a strong effect on the ease of readability of the temperature that is being depicted by the oven thermometers. Hence, it is important for you to choose a thermometer that consists of a display type which makes it easier to read. And in most of the cases, the dial display type is easily readable when compared to the glass bulb display type of the oven thermometers. As I have mentioned above, a wide range of oven thermometers available outside there. And one such type of equipment which is available is the instant read thermometers. These instant read thermometers are not usually safe to use in a working oven or an oven which is switched on. However, the instant read thermometers are instead used by sticking them inside the food that a person might be cooking. This will not help one to learn about the temperature of the oven. In fact, it will denote the temperature of the food itself. Through this method, the individual who is cooking can know or judge whether the food that he or she is preparing is done or does it still needs to be cooked or baked. The Instant Read Thermometers are in great demand nowadays rather than any other thermometer. The oven thermometers can also be classified on the basis of the type of attachment they possess. There are oven thermometers which have an extremely sturdy base and this would enable that thermometer to be simply left standing in the oven. Another type of oven thermometers have a clip that functions to attach the thermometer to the oven, making a fine grip. Next classification oven thermometers is the one which come with an attached hook. These oven thermometers can simply be hanged in the oven with the help of that hook. Each of these methods of attachments has their own advantages and disadvantages which are associated with them. Hence, it is important for an individual to consider these pros and cons of the oven thermometers when they plan to buy for their kitchen. It is vital to understand for a person that having any inaccurate oven thermometers are even worse than having or using no oven thermometers at all. This is simply because of the fact that using any kind of oven thermometers would let you in a false sense of belief that you are cooking or baking your food items perfectly. And if any of those oven thermometers are inaccurate then that can mess up your entire dish. Hence, it is important for you to ensure that your oven thermometers that you are going to buy must be accurate. You should always remember before purchasing an oven thermometer that having a low-grade thermometer not only mess up with your food but also will not last longer. So, you should not opt for a low quality just to save some money but buy an authentic product that makes your equipment stable. By stability, here it means, a thermometer that is going to last for a lifetime (maybe) with the perfection in reading. So, here I have discussed all the important features that one should follow before exploring the market. In this section, I will be sharing all the specific features of some of the best oven thermometers. I have got four oven thermometers in my list of best ones. We will also be drawing the comparison between specific features of all these oven thermometers. And for the ease of our readers, we have narrowed all of that down in the form of a table. Let’s have a look at the table of features mentioned below. Hence, these are some of the most important features of the four best and the most accurate oven thermometers that currently exist in the entire market. In the next sections, we will dive in all these oven thermometers. Here are the details of the CDN Pro Accurate Oven Thermometer. These are all the major features of this device in detail. We will now be looking at the features of the Rubbermaid Oven Thermometer FGTHO550 in detail. These are all the major features of this device. Next, we will be looking at the specific features of the Taylor Classic Series Large Dial Oven Thermometer in all its details. These are all the major features of this particular product in detail. In this section, we will be looking at all the specific features of the Cooper-Atkins 24HP-01-1 Stainless Steel Bi-Metal Oven Thermometer, 100 to 600 degrees F Temperature Range in all its details. And the details of this product are mentioned below. These are all the major features in details of this product. If you own some kind of oven thermometers and you want to make sure that your oven thermometers last you for a longer period of time and you want to get the best possible uses out of your oven thermometers, then there are a few tips you need to follow. And these tips are mentioned below that you should definitely practice if you own any kind of oven thermometers. 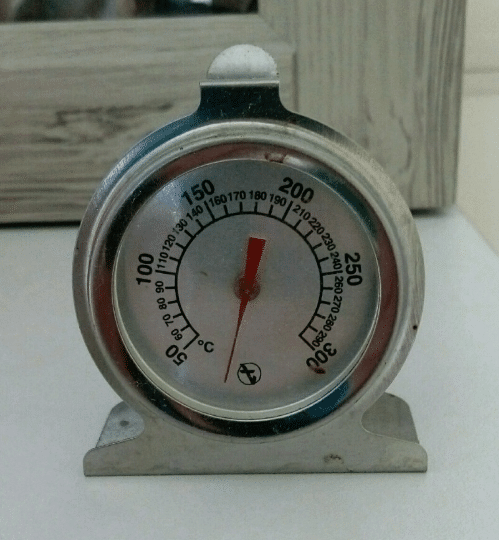 Know the Thermometer Types: As we have got to know about the different types of thermometers and the basis on which they differ such as support type, the material used, the display type, the quality and many other factors. Hence, it is very essential for you to be aware about the multiple features of your oven thermometers. This will let you to make the best use out of your oven thermometers. Calibrate and Test the Thermometers: Most professional oven thermometer users generally make sure that their oven thermometers are as accurate as possible. There are a few tests that you can also go ahead with so as to ensure that your oven thermometers are accurate. And one of these tests includes placing your oven thermometers in boiling water or cold water.In either of these cases, the temperature of boiling water or ice cold water will get displayed on the oven thermometers, If the temperature that is displayed on your oven thermometers is correct then you can easily rely over it. But if the temperature of your oven thermometers is off then you can either decide to calibrate it or you can directly contact the manufacturer of the oven thermometers. Use Two Oven Thermometers: As mentioned above,most of the ovens that we use these days tend to display a temperature which might be a way off from the temperature that it should originally display on the screen or dial of the oven. And also, we got educated about the fact that not all oven thermometers are accurate.Number of thermometers are responsible for poor results and because of this particular fact, there are many professionals who have came up with a few steps and methods around that. And one of those steps or methods to solve the problem is using two different oven thermometers.If both the oven thermometers that an individual is using are displaying the same temperature then that means that the temperature is right and the individual can make the necessary adjustments according to it. Learn to Use the Oven Thermometers Properly: It might appear quite obvious but one of the biggest factors that can allow you to maintain the life of your oven thermometers is by safeguarding that you use your oven thermometers in a proper manner. This particular tip will also assure that you get only the best and the most accurate temperature measurements which will further result in getting the best possible use out of your oven thermometers.There are a number of how-to guides that you can choose to go over. We have also mentioned a similar but more exhaustive guide that will help all our readers understand the exact steps that they need to take or follow to ensure that they are using their oven thermometers properly or in an appropriate manner. Clean Your Oven Thermometers: It almost goes without saying but it is crucial for a person to check that their oven thermometers are quite clean before and after their use. 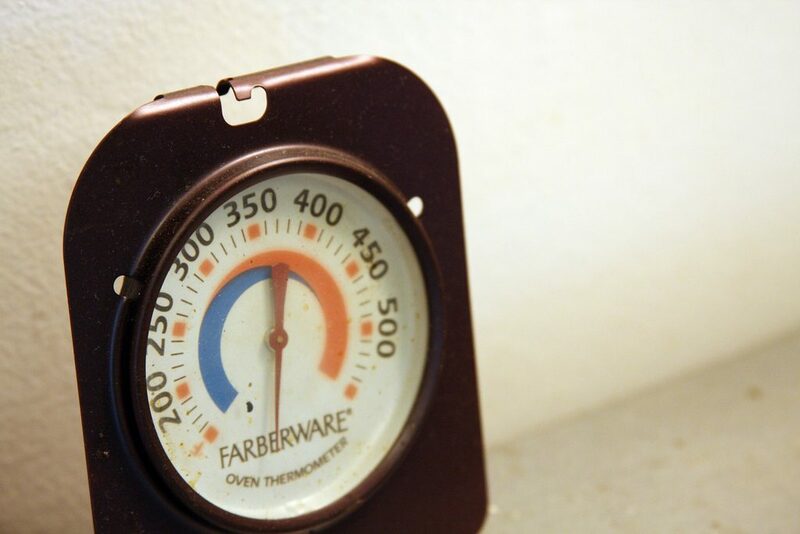 You should always take preventions so that your oven thermometers must not get rusted or grainy. This is not just extremely dangerous to be used in your oven but it can also cause other health hazards. Hence, you should always follow proper procedures or steps so that your oven thermometers stay as clean as possible. And some of those procedures or steps include wiping your oven thermometers with a clean cloth before and after use.You should also ensure to clean your oven thermometers with a cloth dipped in soapy warm water. And if it is some kind of digital thermometer that you use in your kitchen then you should turn off the battery of the digital thermometer to preserve its overall battery life. These are some of the most famous and useful tips that an individual can follow to inspect that the oven thermometers that they use work properly. This will further help in gaining a longer product life. Any kind of commercial oven thermometer plays a very important part in the cooking or baking that takes place in a kitchen. And if you wish to use your oven thermometers in a flawless manner then it is recommended for you to ensure that you follow all specific steps of using oven thermometers wisely. And the steps that will guide you to use your oven thermometers effectively are mentioned below. Place the Thermometer in the Oven: This might seem like an elementary step but it is extremely important for you to place your oven thermometers properly. 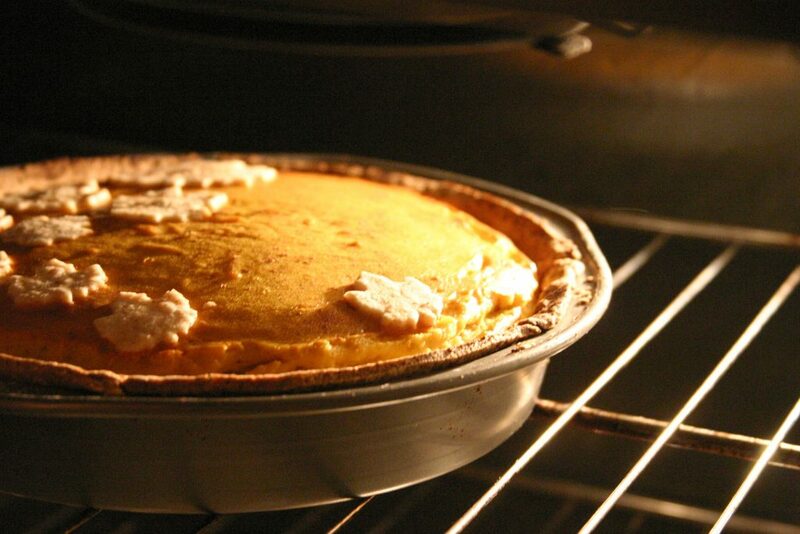 The temperature of the oven will indeed depend upon the position of your thermometer inside the oven. The correct position will make it work accurately and the temperature displayed by it will be as accurate as possible.If you wish to have the best possible reading then it is important for you to place your thermometer in the middle of the rack inside your oven. However, if the thermometer that you are using is of a larger model or size then you can also place it in a position that is as central as possible. 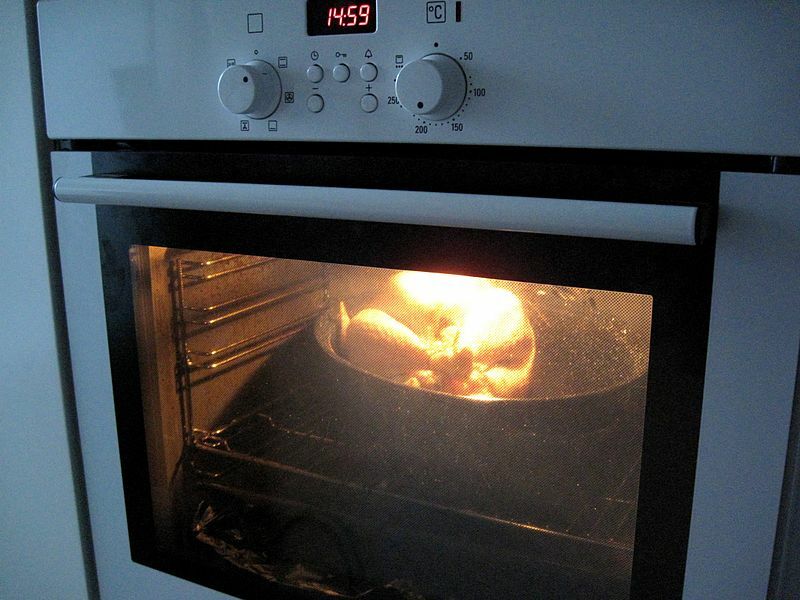 Set the Oven on a Right Temperature: Once you have placed your thermometer in a correct position then go ahead setting the right temperature of your oven. 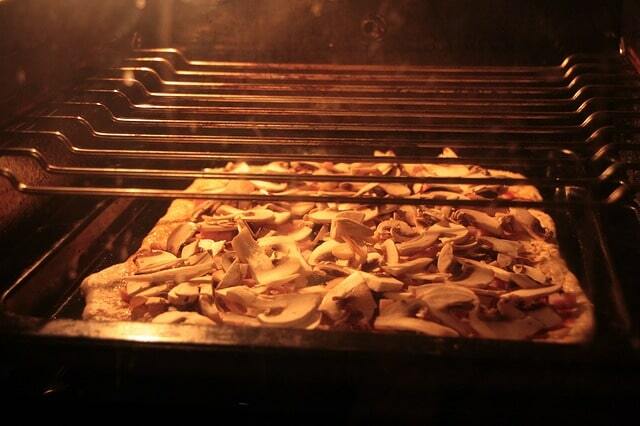 The oven that you might be using could have a digital display or a dial. When you get the indication that the oven is in preheating zone then all you need to do is wait for the oven to reach and heat till the desired temperature. 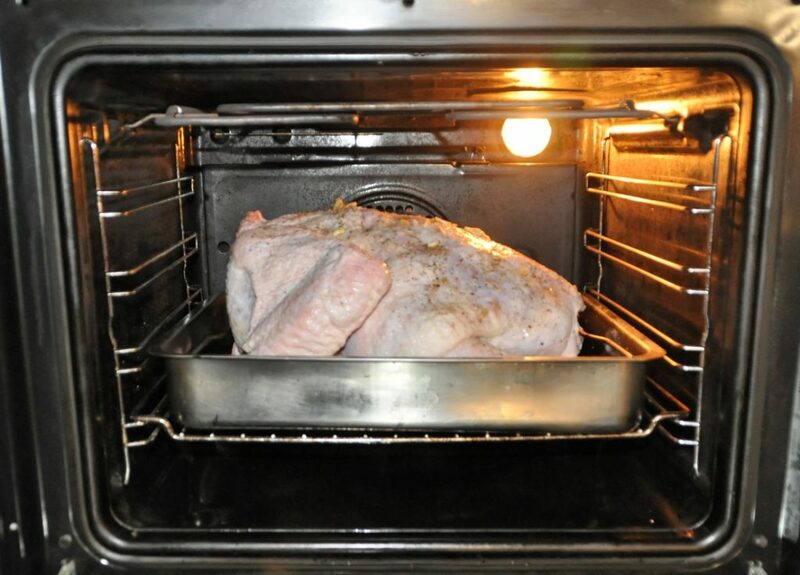 During the Preheating Procedure: While you are waiting for the oven to heat up and reach the desired temperature it is suggested not to open the door of the oven. If not done so, this may result in the heat escaping from the oven which makes the oven taking longer time to heat and reach the desired temperature. Provide Some Additional Time: It is usually suggested to provide some additional time to the oven and thermometer to generate results. This additional time will produce more accurate result to display. 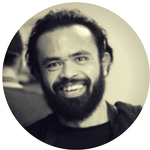 This step is actually an important one which is generally skipped by majority of the users. Adjust the Temperature of the Oven: Once you have provided the oven and the thermometer with sufficient temperature then the next step that you need to follow is to make sure that you adjust the temperature of the oven according to the large dial oven thermometers. This particular step might take a few trials to reach your desired temperature but setting the right temperature will not let your dishes spoiled. Put the Food In and Follow the Recipe: Once the right temperature on your oven is adjusted then proceed to follow your favourite recipe and wait for the delicious dish to be ready to feed your hunger. 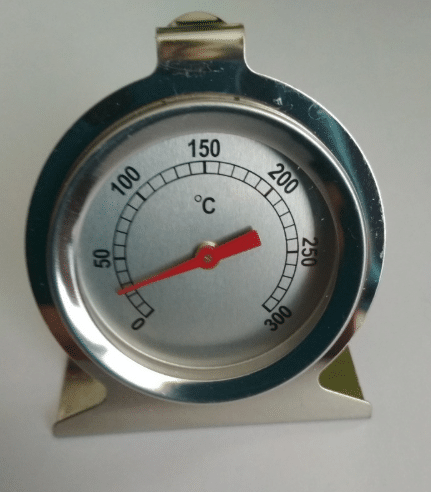 That is all, we have discussed everything thoroughly and now you are equipped with all the desired know-how of buying, testing and using oven thermometer. 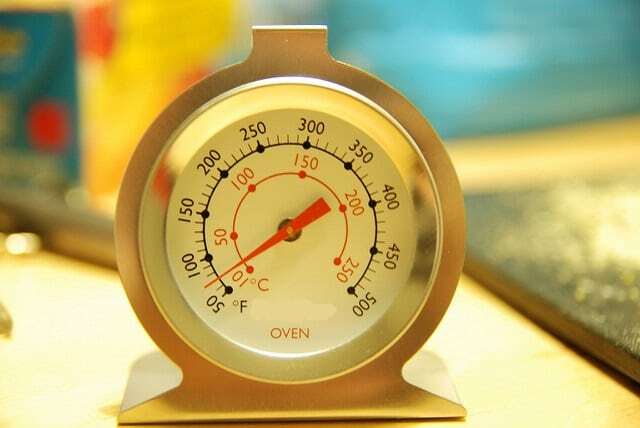 I will put a stop to my thermometer review by saying the after going through all the details of the oven thermometers, the tips and methods on how to select the best oven thermometer we can easily say that it depends entirely upon the user’s choice according to his need. There are many oven thermometers in the market and those oven thermometers have their own advantages and disadvantages. 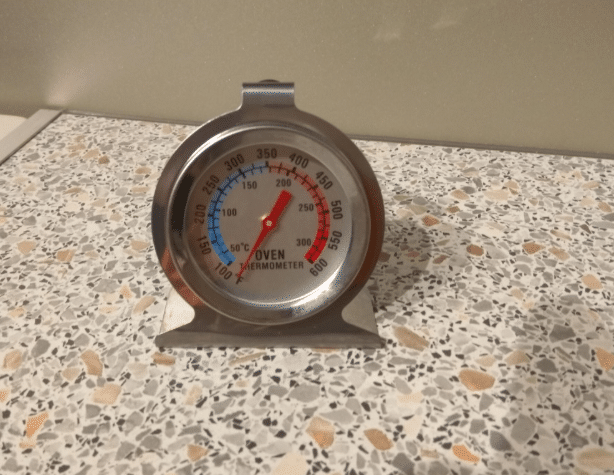 Hence, if any user wishes to buy the best high-temperature oven thermometer, I will recommend to go through this review again and make a perfect choice of an oven thermometer. I hope we have answered all your queries regarding the best oven thermometers. Stay tuned for more reviews, we will get back soon with another one.